1.5.2 How long is the Dashcam Cable? Garmin’s Dashcam range are industry leading. These tiny windshield mounted watchers are taking care to protect you or anyone driving your car. Though if you’re like my partner, it’s a great device to re-watch some extraordinary encounters natural or man-made... Garmin has designed each of their Dashcams for a different purpose, and I'll try to highlight the differentiating factors below. If you’re in a rush, at the bottom of this article I’ve included a spec sheet that details the differences between the units and a quick summary. As usual though, I’ve done a full breakdown on each unit along with footage comparison from each of the models. Just as a bit of information on the video; The Dashcams weren't installed correctly. I couldn't actually attach these to my windscreen as the sticky magnet they come with is no joke! Think Go-Via tag but worse. These adhesive mounts are built to last, so I ended up with a bit of a hokey setup with magnets and tape. It worked, mostly. The Dashcam 55 got the worst of it so it looks a lot shakier than it should. Now if you have ever owned a dash cam you’ll know the pain of removing the MicroSD card putting it in your computer, leaving it in your computer, cursing yourself in the car and then going back and retrieving the MicroSD card. Garmin has done away with this problem with their free VIRB App. You can also use their free software for your PC for any video editing. 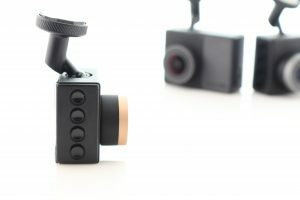 The dashcam will still run on a MicroSD card, but you’re able to connect a smartphone via WiFi (The cameras own WiFi – you don’t need to connect to your home network) and review any saved photos or videos. You can also download the footage directly to your phone. Just be aware that it’s much faster to do this process via a cord connection. However, this is a very convenient addition by Garmin. All the Dashcams automatically record and save footage when it detects an incident, or you manually tell it to save. The Dashcam’s run on a loop of available space deleting old footage for new footage - if the old footage hasn’t been saved. All the saved clips are time stamped, show location data (latitude, longitude), speed and direction of travel. The Dash cam will also alert you with forward collision warnings and lane departure warnings. These aren’t a huge selling point for me, I get much more use out of the fixed red light, and speed camera alerts that the Dashcam announces. There is also an alert that I haven’t come across before which is the “Go” signal, this alert lets you when the traffic has started moving when you are stopped at an intersection or traffic lights. If everyone had this, it would likely make a startlingly difference to my daily commute. 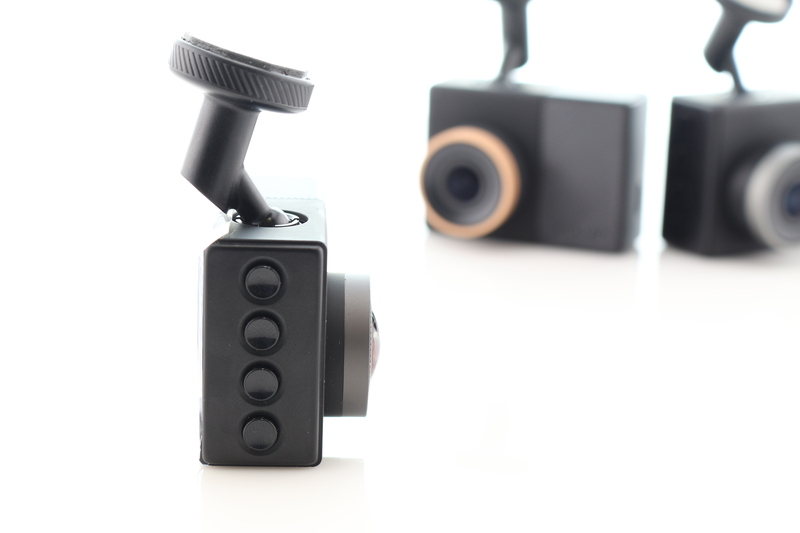 The Dashcams can also shoot footage in a Travelapse format. It will fire every 30 seconds – this is a great little feature to share a cool road trip or adventure. All the Garmin Dashcams are tiny. The 45 comes with a 2inch LCD display and a physical dimension of 5.62cm x 4.05cm x 3.53 cm and weighs only 59.6g. This size is shared across all the units. It has 4 buttons on the side for easy navigating through the menus and a 30-minute battery life *You should have this unit plugged in. Another great feature that Garmin doesn't specifically talk about is that the Dashcam will stop displaying after 1 minute, which surprisingly is not a standard feature for dash cams (You can also disable the timeout if necessary). This is perfect for night driving so that you don't have a glowing orb in front of your face ruining your night vision. 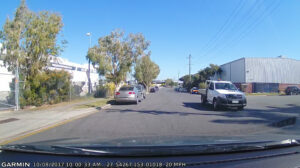 The Garmin dash cams' have an optional feature called 'Automatic Parking Mode' I say optional as it requires an additional cable to be purchased. This requires professional installation by an auto electrician and an additional cable. It activates when the car is parked, and the engine is not running. The camera will monitor the vehicle’s surroundings and begin automatically recording if motion is detected (Car hitting you in a shopping car park, or another similar incident). This cable works by using the accessory power for normal recording, and the permanent 12V non-accessory power supply for when not driving, so the cameras always have power when needed. The 45 records in full 1080p HD at 30FPS. The camera sensor itself is powerful. While it won’t look like a fast and the furious movie, it trades vivid colours and cinema overlays for a focus on detail in both bright and low-light conditions ensuring that in a pinch you’re able to see every tiny detail. The model 45 is the least expensive of the units currently at an RRP of $199, which makes it a desirable option for most consumers interested in keeping themselves protected. It comes everything listed previously and a 4GB microSD card. The Dashcam 55 has two major differences, the first and arguably the most important is the Video quality. 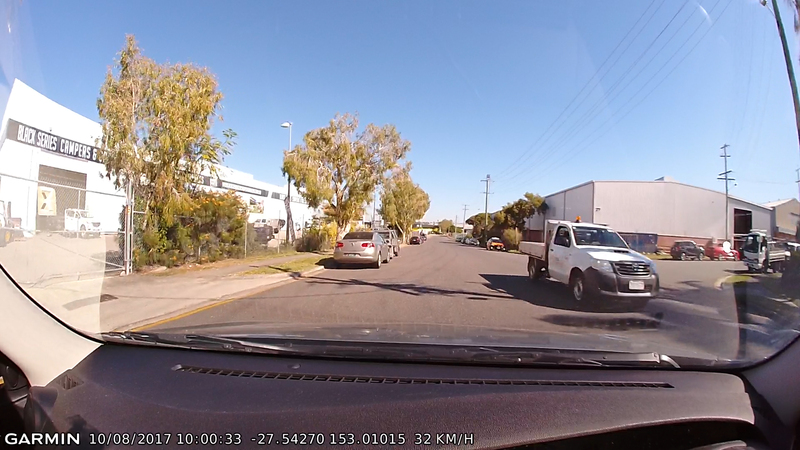 The Dashcam 55 records at 1440p, while this will chew through the data on your card a lot quicker, it could make all the difference regarding detailed information. The picture resolution is significantly larger than the model 45. The second difference between the 45 and the 55 dash cams are the Voice Activation features included on the 55. The Dashcam 55 has four main voice commands; which will activate after saying OK, Garmin. The commands are: save video, take a picture, record audio and start Travelapse. The Dashcam 55 currently retails for $249 – this is for a more general consumer looking for the best resolution and picture quality available. Unlike the Dashcam 45, the model 55 is packaged with an 8GB card, this is due in large part to the increased size in resolution resulting in a faster rate of data consumption on the card. 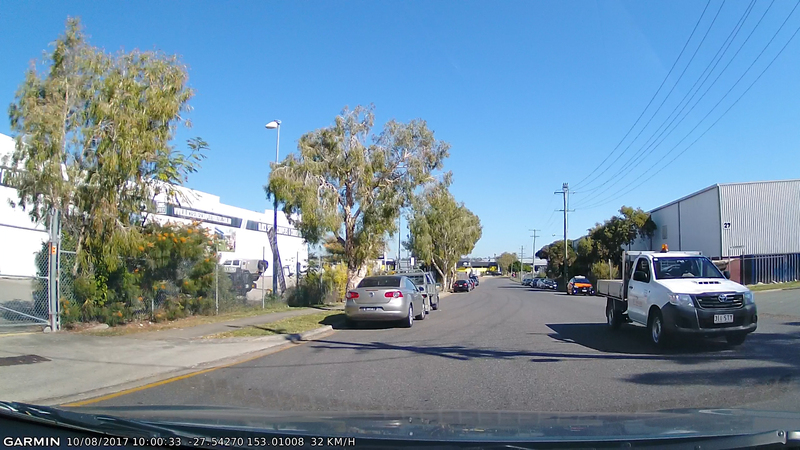 Below I've included some stills from the drive I took to compare the Dashcams. If you watch the video you might see that the 55 seems to shake a lot, this is not normal. This was due to my setup as it was quite difficult to get the Dashcams mounted so close together. The Garmin Dashcam 65W or 65 Wide, shares the same recording resolution as the model 45 has a much broader FOV (Field of View) at 180 degrees. It also shares the voice activation features available on the 55. The extra degrees are the only distinct feature on this dash cam however it is quite significant. By allowing you to record a wider field of view always you’re capable of catching incidents that might occur towards the sides of your vehicle that the other dash cams might not pick up. 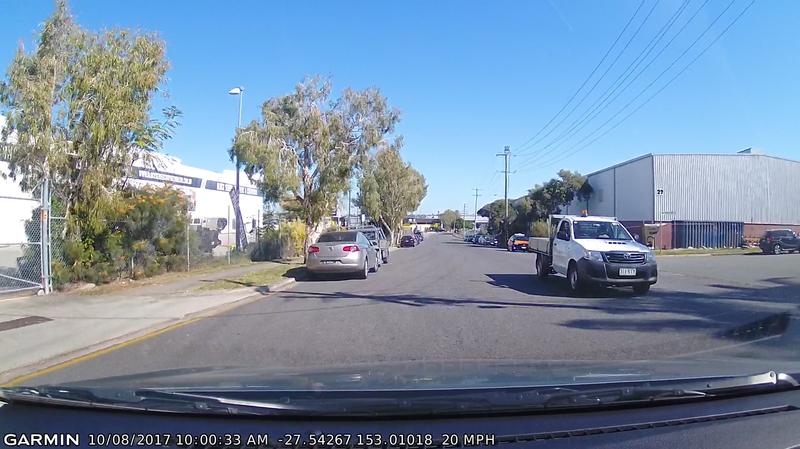 An example of where this might useful is a litigious pedestrian taking a run at your car, the extra viewing angle may make a significant difference in proving whether it was intentional or accidental. The 65W dash cam currently has an RRP of $349 – The 65W won’t be for everyone as it is quite an expensive dash cam, but the wider FOV will make it an attractive option for those looking to have the widest coverage. This unit comes with an 8GB MicroSD card additionally. In the video at the top of the article, you can see the 65W picked up a lot of colour completely changing the image. This didn't make a significant difference to the quality of the picture, but there were a couple of instances when I rewatched the footage that particular cars and trucks appeared almost entirely different, and details were washed out. The image below highlights the difference in lenses on the 55 (106-degree FOV) and the 65W (180-degree FOV). Firstly the model 65W has the 180-degree FOV as opposed to the other two models that have a 106-degree FOV. 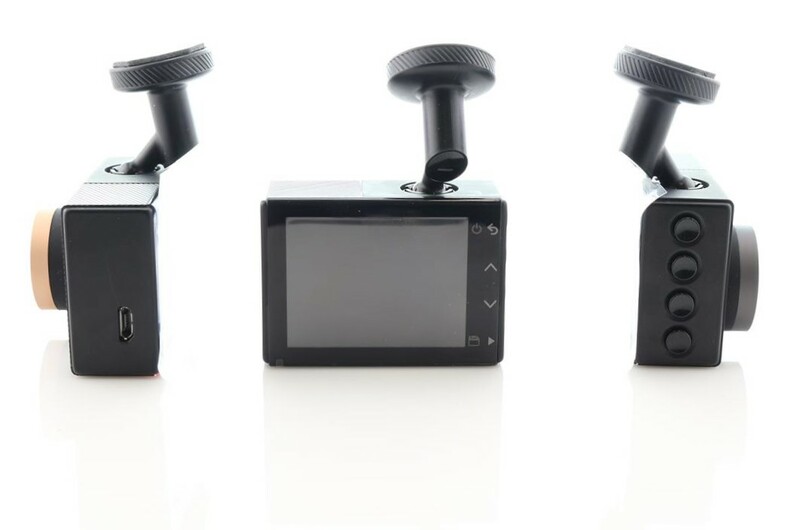 This means the 65W Dashcam will be able to see more things on the left and right-hand side of your vehicle, it currently has an RRP of $349 and is the most expensive of the three. The best example for the 65W is any incident involving the front sides of your vehicle, the wider range will allow you to much more clearly. This could help in situations involving insurance fraud with pedestrians or someone clipping the front side of your car. The distinguishing feature of the model 55 Dashcam is the 3.7MP camera with a recording resolution of 2560 x 1440p at 30FPS (lowering the resolution to 1080p can allow 60FPS). 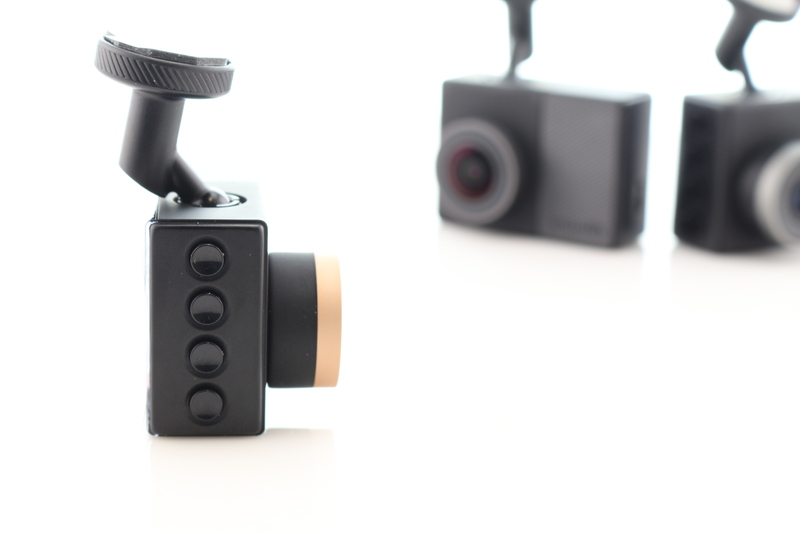 This allows you to see more details than the other Dashcam models. This unit currently retails for $249 like the 65W comes with an 8GB micro. The 55 doesn't need a specific example as it is superior to the 45 in detail and is, in my opinion, the best choice out of all the cameras. It shows the highest clarity and adds a small degree of contrast which makes the picture look better and also help differentiate individual objects in the image. Lastly, the Model 45 is the cheapest of the models, it doesn't have any distinguishing features like the 65W with a wider FOV and the 55 with higher resolution, however, it is still a powerful Dashcam at an entry-level price point. Below are high-resolution images of each of the Dashcams just click on them to see the full size. *These are approximate times based on tested footage. 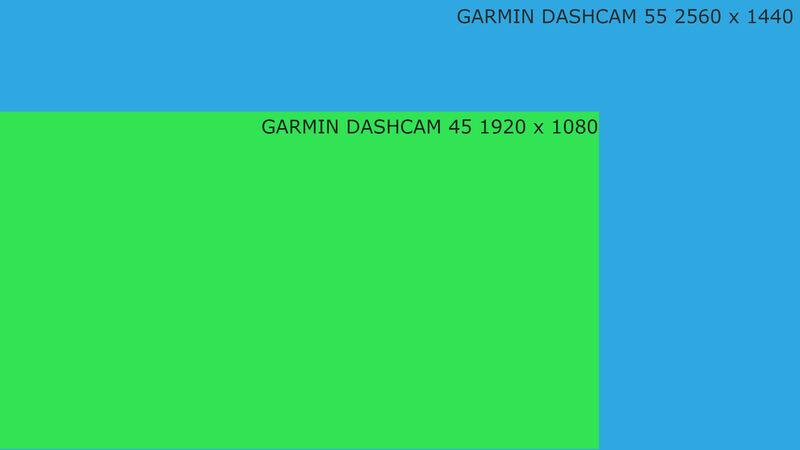 The maximum SD card size for the Dashcam 45, 55 and 65W from Garmin is 64GB with write speed class 10 and formatted to FAT32. How long is the Dashcam Cable? The cable that comes in the box is 4m long. More then enough to install it discreetly, I recommend grabbing some small 3M command hooks from your local store to guide the cable to your power source.